A company may choose to outsource Environmental Health & Safety (EHS) services to ensure a seamless transition during times of personnel or ownership changes, to streamline programs and cut operating expenses, or simply because a full-time EHS position is not currently needed at their facility. Whatever the reason, St.Germain Collins has the experience necessary to assist your staff or to serve as your dedicated EHS service-provider. Our staff members — including scientists, regulatory specialists, Professional Engineers (PE) and Certified Hazardous Materials Managers (CHMM) — are proficient in applying EHS compliance strategies, anticipating potential issues, and managing complex compliance programs. With our long-term, well developed relationships with state and federal regulatory agencies, St.Germain Collins is a good fit as a company’s regulatory liaison during regulatory enforcement inspections, environmental permitting, reporting and other tasks. 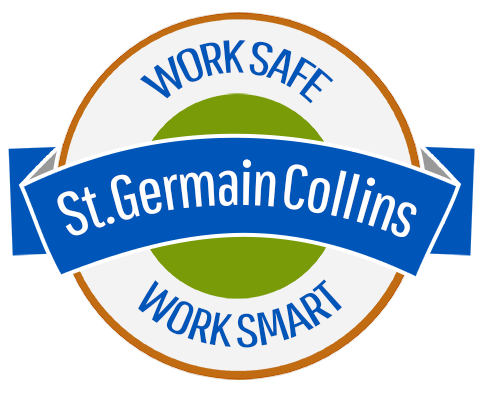 By taking control of compliance at your facility, St.Germain Collins allows you to focus on what is important—keeping your business successful. St.Germain Collins’ outsourcing program is flexible and can be tailored to meet the needs of your business. We are currently outsourcing EHS services to manufacturers, collleges and universities and solid waste companies in New England.